The classic primer for its subject, Housing Policy in the United States, has been substantially revised in the wake of the 2007 near-collapse of the housing market and the nation’s recent signs of recovery. 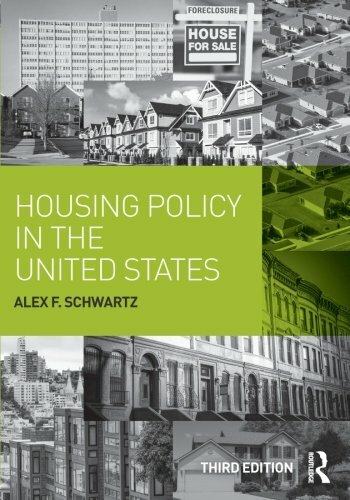 Like its previous editions, this standard volume offers a broad overview of the field, but expands to include new information on how the crisis has affected the nation’s housing challenges, and the extent to which the federal government has addressed them. Schwartz also includes the politics of austerity that has permeated almost all aspects of federal policymaking since the Congressional elections of 2010, new initiatives to rehabilitate public housing, and a new chapter on the foreclosure crisis. The latest available data on housing conditions, housing discrimination, housing finance, and programmatic expenditures is included, along with all new developments in federal housing policy. This book is the perfect foundational text for urban studies, urban planning, social policy, and housing policy courses.